Are you aware that June 9th 2018 was Global Wellness Day? All of us would like be healthier, to look better, and to live well both physically and spiritually. Living well is almost the entire world’s shared dream. As everything that is precious to us has been honored with a special day, why is it that we don’t have a special global day dedicated to the only thing which is really valuable to all of us, that is, living well? We can now answer this question by saying “it now exists”. This special day is called Global Wellness Day. With the slogan “One day can change your whole life,” we celebrate Global Wellness Day on the second Saturday of June every year as an international day. In conjunction with Global Wellness Day 2018, our favourite spa - Mandara Spa Sunway Resort & Hotel has once again held the meaningful activities at the spa for its guests. In order to recognize the value of our lives, to pause and think, even if for just one day of the year to be free from the stress of everyday city life and bad habits, to make peace with ourselves, to raise awareness about living well and increase motivation, not just for today, but for the remaining 364 days of the year. 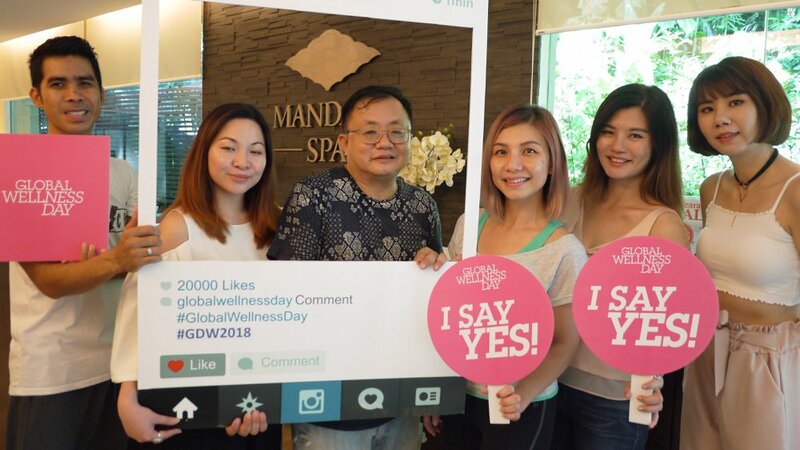 All of us had enjoy the various activities held at Mandara Spa Sunway Resort & Hotel on Global Wellness Day. From a zen yoga session, to self-pampering hand and shoulder massage. All of us had some really well time spent at Mandara Spa Sunway Resort & Hotel on the lovely afternoon. Thank you Mandara Spa Sunway Resort & Hotel for organising such a meaningful event for us. It’s time to head to Mandara Spa Sunway Resort & Hotel to love yourself and pamper yourself so that you can have inner stability. Be it the blissful facial or relaxing body massage, you would surely enjoy yourselves there. Mandara spa ni macam best je tapi harga spa sini setahu i mahal juga tapi kalau sekali sekala nak memanjakan diri why not? Now that you mentioned it, I really in need of a spa session - to rejuvenate and realign everything. 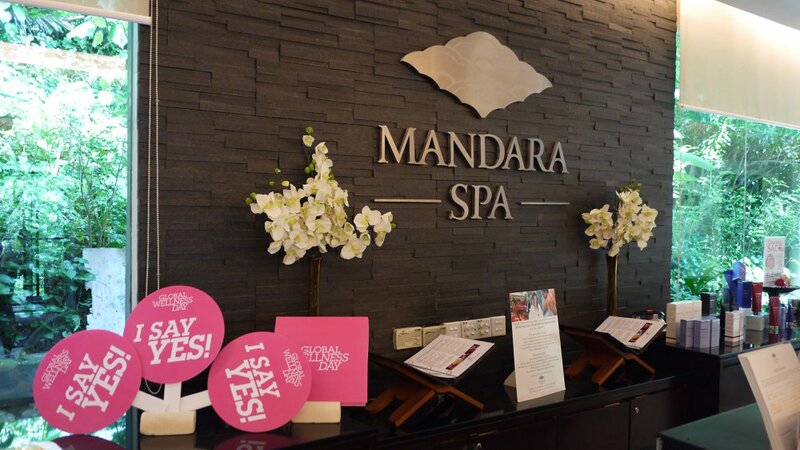 Hey - There's Mandara Spa. Hehe. Thanks for the review. I need a massage as I have stiff shoulder due to stress on work. I heard Mandara Spa offer a good massage and spa. Really love the theme that mandara spa provide to their client n celebration for global wellness day..
We should take time out to pamper ourselves ones in a while to take the stress out from our body. Global wellness should be more often than once a year but lovely effort by Mandara Spa for this reminder. I could really consider this for my birthday gift to myself. I am in need of a really good massage and pampering time. And it's good that they are having this kind of event which helps the community to get back centered with themselves.